Golf in my experience is one of those games that you are either very good at playing or if you are anything like me, terribly bad. Over the years I have made numerous attempts at trying to play golf with my mates, as most of them play quite often. Unfortunately, I never managed to quite get the hang of it, even after spending hours at the driving range and having a good number of friends giving me a lesson or two, i was still terrible. That was until I bought my first golf GPS unit, these handy little devices can do a lot to improve your overall game. 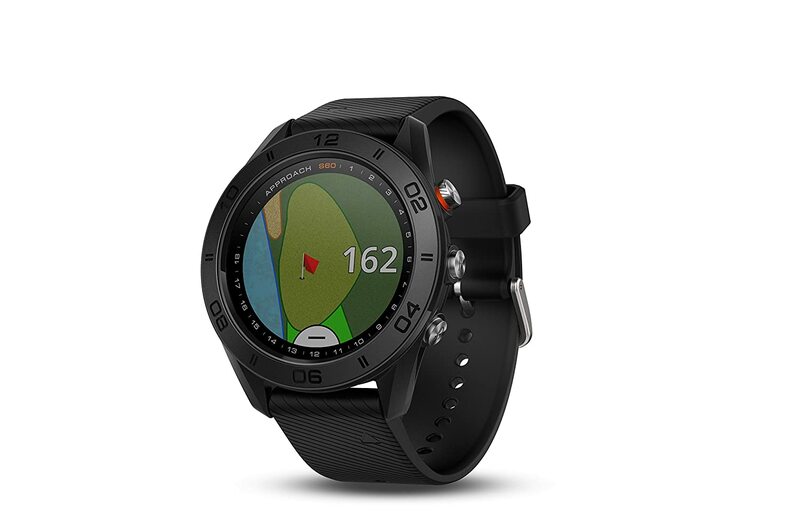 The best golf GPS 2018 has to offer comes with a whole host of functions that will alter the way you play golf forever. In our Ultimate Golf GPS Buyers guide we will be sharing all the information you need to know for when buying a golf GPS. 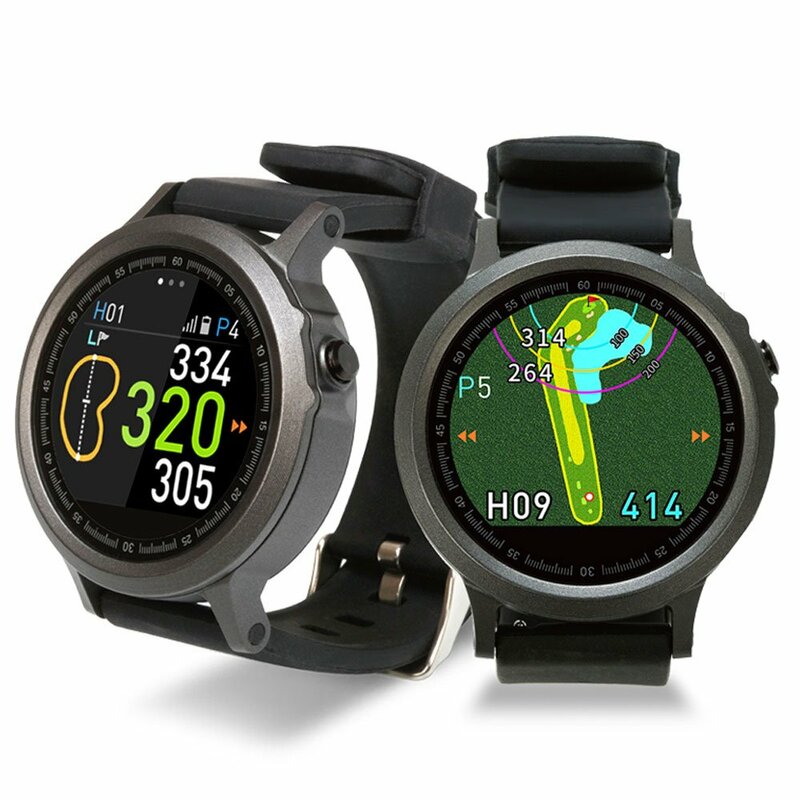 Furthermore we will be showcasing the top golf watches and handheld units in our golf GPS reviews section. 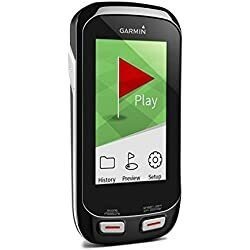 Before buying a golf GPS device it’s very helpful to know exactly what one does, how it works and what all the features and settings are that you should be aware of. 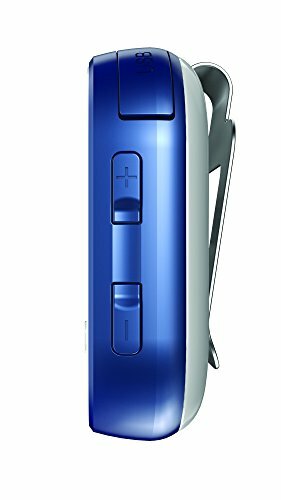 Below you can find all the important information that will go a long way in helping you buy the top rated golf GPS for your needs and budget. Essentially, a golf GPS is a device that pinpoints your exact location using the Global Positioning System. With this information it can tell you all sorts of information about the surrounding area such as the topography, particularly useful for golfers. Some of the most valuable information that a GPS device offers goes a long way in improving your game. These include yardage, distance to the green and making you aware of any potential hazards. 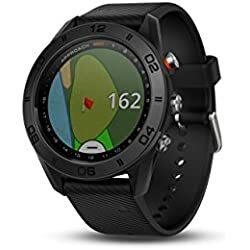 There are many golf GPS devices that can be bought ranging from the basic affordable options which offer limited information, to the top of the range models which can even track your game and offer a post match analysis. With this feature you can see where you played your best shots and where there is room for improvement. If you are a keen golfer, then you will love the fact that some models have thousands of courses stored on them and come with many other features to help improve your game. The main reason we have GPS for playing golf is thanks to President Clinton, who allowed the military GPS system to be used for commercial uses. The Global Positioning System is an array of satellites that provide pin point accurate details as to where you are on the globe. Without this technology there would be no golf GPS watches, handheld units or GPS range finders. There are now a handful of golf GPS devices available to buy that can be used to help you improve your game-play. Each one has its own pros and cons knowing these will help you to decide which type is best for you and your game. 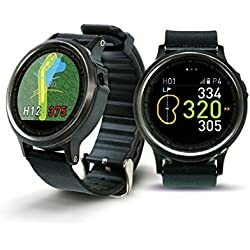 A golf GPS watch is very similar to an ordinary wrist watch in design. 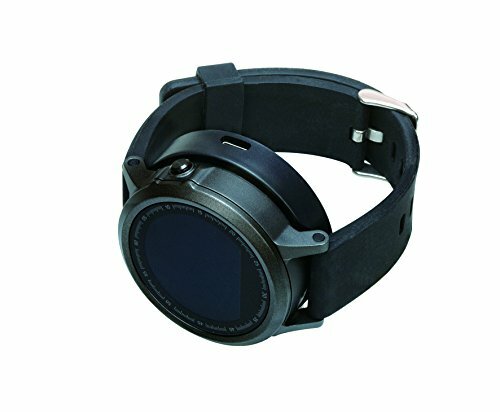 It is worn on the wrist, has a screen and tells the time like an ordinary watch. The functions that come with a golf watch depend on the amount of money you are willing to spend. Many golf watches come pre-loaded with thousands of courses for convenience. Most come with a map of the course you are playing on, however, cheaper models may only tell you data about the course. The very best golf watches can analyse your swing and help you improve it by pointing out and showing you where you are going wrong. 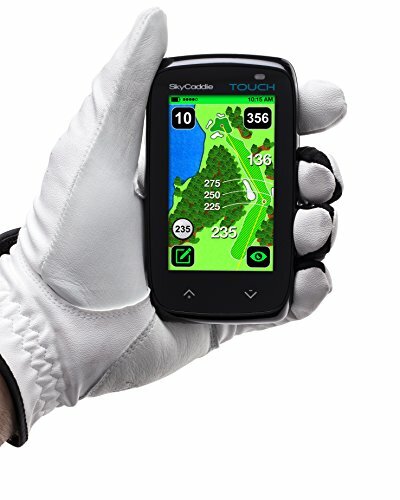 A handheld golf GPS is favoured by the more serious golfer as they tend to offer more functions that a golf watch. They vary in size with small ones been similar in size to a pedometer and the larger ones looking more like an iPhone. The advantages of a handheld unit are that the screen is much bigger than on a golf watch, allowing you to see more. In addition they can keep score of your round, as well as recommending what club you should use based on your past choice and performance. Another positive is that the battery lasts considerably longer before it needs recharging. In terms of price handheld units tend to be more expensive. With that been said you do get more fo your money in terms of functionality. There are a number of features worth considering before you buy the best GPS for golf. Been informed about them and what they do will make buying a golf watch or handheld unit less of a headache. In addition its far more likely that you will buy the model that is best suited to your needs. The whole point of a golf GPS is to provide accurate measurements to assist in your game play. The best models are pin-point accurate and offer great assistance with their course measurements that help you to decide how to play your next shot. If you are a beginner at playing golf then you may get confused when deciding which club to use. If that is the case then one of the better models will aid you in your decision automatically. Others will tell you what club you have used in past games and what worked best, amazing really. All the best models recognise the course you are playing on automatically and are ready to go from the offset. Models that don’t auto recognise the course require the user to either download the information from a computer or require you to type the course in, from there it will find it itself. 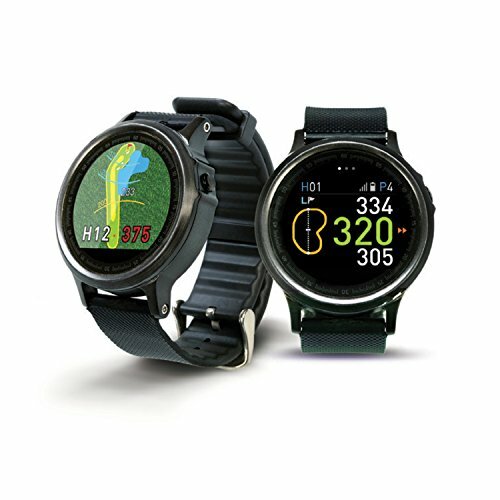 A positive feature of some golf GPS watches and handheld units is that they record data about your game. These statistics can be checked later and compared against previous rounds and the clubs you used etc, to see where you played well and where you played shocking. The length of the battery life that a Golf GPS has all depends on the type and model. 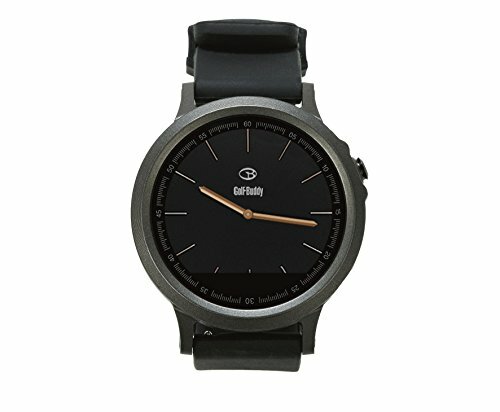 Generally speaking a watch will have a battery life of around 10 hours and a handheld unit around 15 hours. 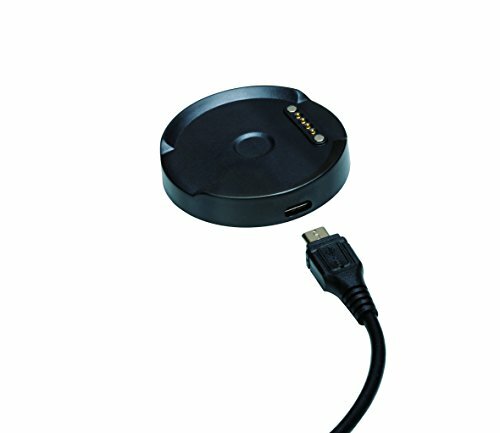 In addition recharging times vary per model, remember to check when buying. When it comes to all manner of sport watches Garmin are the go to brand and the same can be said for golf GPS watches. 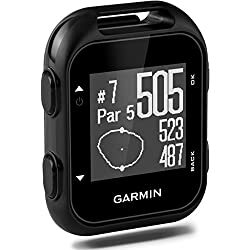 The Garmin Approach S60 is top of the range and comes with all the features, settings and functions that you would expect the best rated golf GPS watch to have. 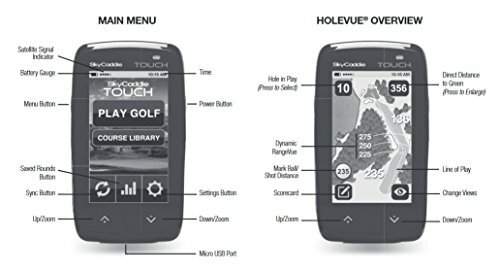 Featuring a large 1.2-inch sunlight readable color touchscreen which allows you to drag and drop the pin anywhere on the course. From there you get accurate readings of yardage and even suggestions on what club to use. Furthermore, it will warn of any potential hazards such as bunkers, dog legs and water hazards. 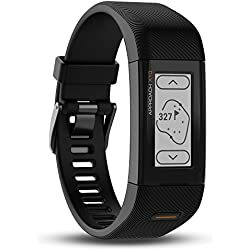 In addition to its golf capabilities it can also be used as a standard watch or fitness tracker making this a very versatile model. 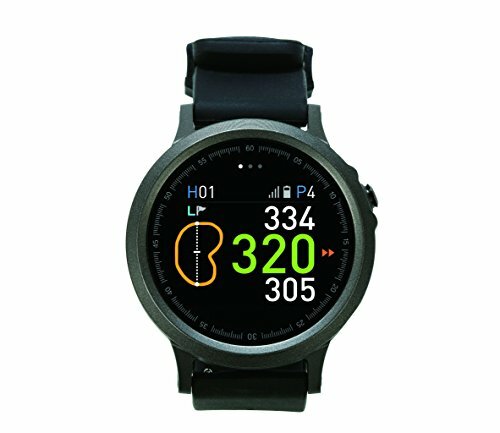 With a long battery life of 10 hours in golf mode (10 days in watch mode) most players will be able to get a few rounds in before the battery goes. 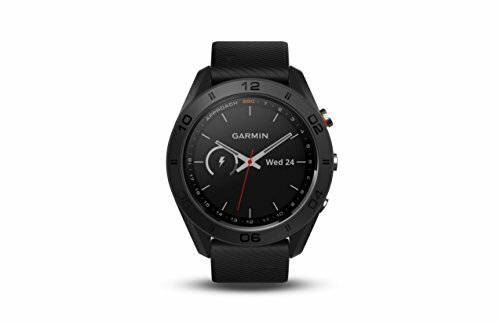 If you are looking to buy the best golf GPS watch in Australia, then the Garmin S60 comes recommended as our top pick. Due to its overall functionality and many features you won’t find a better model on the market, hence the expensive price tag. Buying Tip: make sure you have it on the correct wrist when playing or you will think it isn’t working correctly. If a Garmin S60 is a bit too costly, then the Golfbuddy WTX Golf and Smartwatch is a less expensive alternative with almost exactly the same functions and features as a top of the range Garmin. Golf Buddy have a solid reputation in the golfing world and many of their products are some of the best on the market. 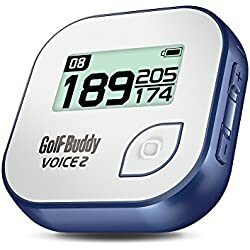 Th Golfbuddy Golf GPS watch is a favourite of mine as it was the first model that i bought, i still use it now. The first thing to say about it is that it is a little bit harder to set up than most models, but well worth it. Features include auto course and hole recognition, hole layout view with the current position of the player, full target and hazard information, dynamic green view, and pin placement. The user interface is simple to navigate and with me been a keen cyclist and runner, the running, walking, cycling, and pedometer functions come in handy. 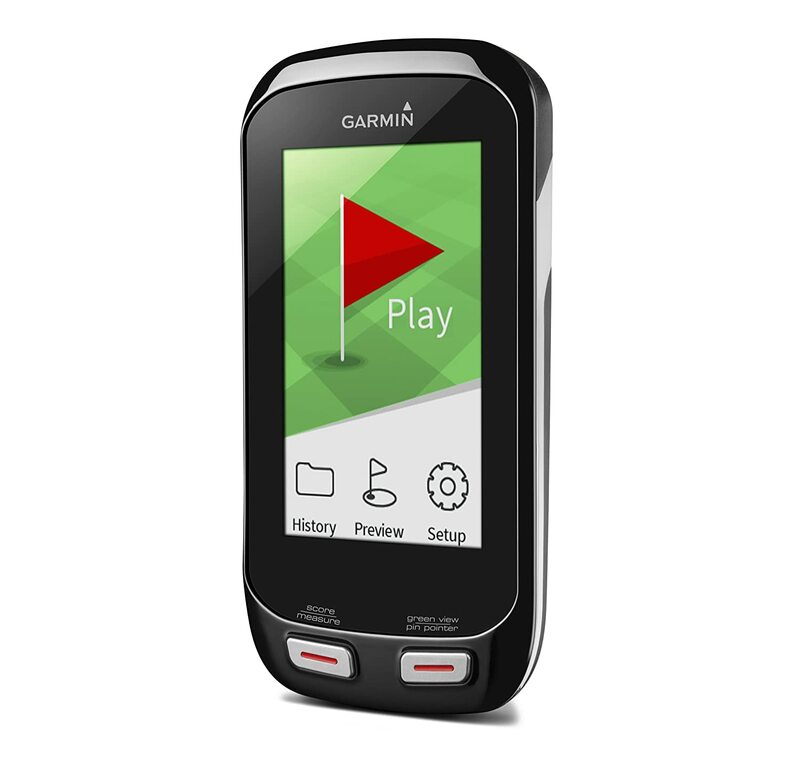 In my biased opinion, the Golfbuddy is just as good as the Garmin S60, but then i would say that. 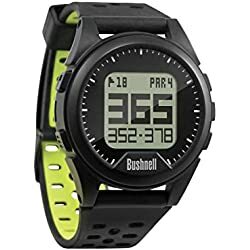 In all honesty it is a very good golf/sports watch and i have had no problems with it since owning one. 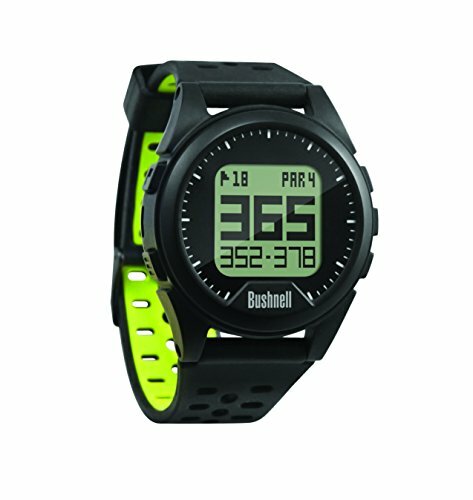 Bushnell are another well-known brand with a reputation for their high-quality sports watches. The Bushnell Neo ION Golf GPS watch is the ideal set and forget model. Initial setup takes only a few minutes and from then on it automatically recognizes the course you are on and away you go. The data it gives is clear and concise and the screen is big enough to provide easy-to-read front, back and center distances on the green. It shows up to 4 hazards or lay up distances per hole and features a very accurate distance calculator. 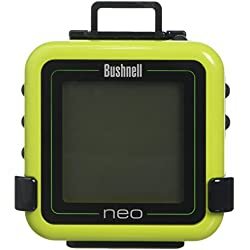 With a battery life of 16 hours the Bushnell puts some of the more expensive models to shame. It comes with over 35,000 pre-loaded courses from around the world. Like all the best models it comes with additional extras with the fitness tracking capabilities being one of the better ones. This is a mid-price golf watch and best suited for those not wanting to spend too much. 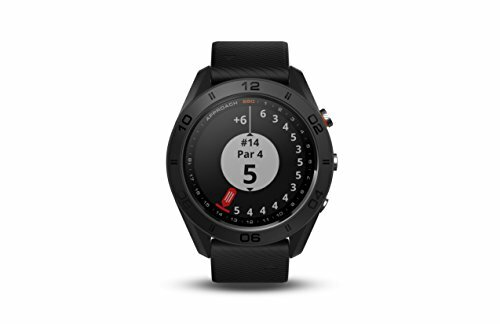 It offers great value for money and does everything that you would expect a good golfing watch to do. 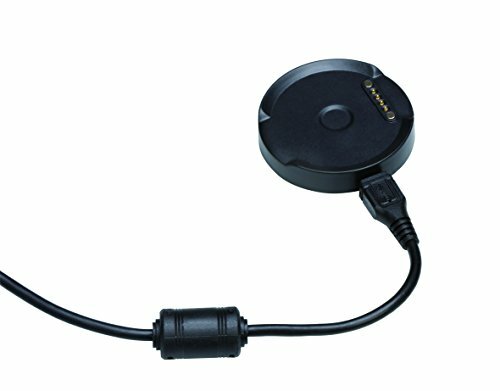 When it comes to handheld units the Skycaddie is without any doubt the best handheld GPS unit in the world. The high clarity images are the envy of the competition and the fact it is very simple to use makes it very practical. With excellent customer feedback on Amazon previous customers don’t seem to have a bad word to say about it. Featuring a large 3 inch colour display and reliable accurate course maps it shouldn’t take too long to improve your game with the Skycaddie. The eagle’s eye view of the entire hole is a great aid as are the accurate hazard distances. There is a built-in scorecard and to check your current score all you have to do is tilt it to the left like in the image above. Tilt to the right and you will be presented with the front, back and distances to the hole Both of these tilting features mean there is hardly the need to press anything on the screen from tee off at the first hole all the way to the 19th. To check out the full features click the features box below. If you are as bad as golf as i used to be then this might just be what you need to help you raise your game. It is a bit on the pricey side as are all the best models, however, the information it provides is priceless especially for beginners. 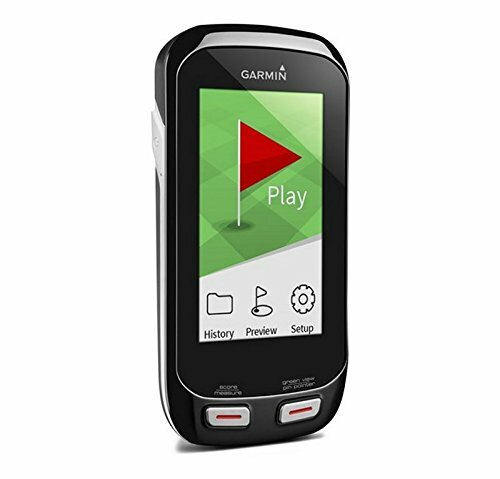 Another top rated handheld golf GPS is the Garmin Approach G8. 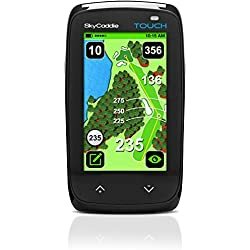 This and the Skycaddie are the two main rivals in the golfing world for holding the coveted title of best handheld GPS unit. 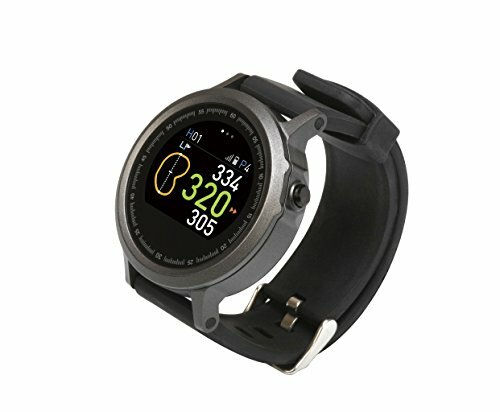 The Garmin G8 has many of the same functions as the Skycaddie, the only real difference is the price. 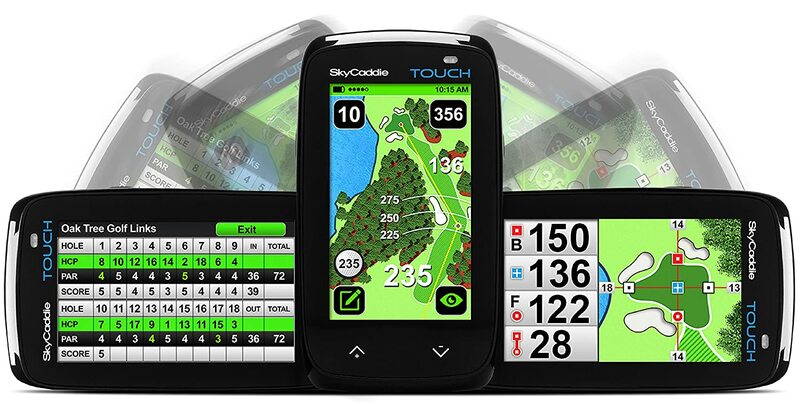 Due to the fact that there is no subscription fee with this model many prefer it to the Skycaddie. Features include pin-point distance measurements (taking into account uphill and downhill variables), auto course and hole recognition, 15 hour battery life. With a large 3 inch colour screen seeing all the available information isn’t a problem, however, learning to navigate through all the functions and settings may take a round or two, golf not beer or maybe both. To sum up the Garmin G8 is obviously a very good model, it’s a Garmin. This brand is well recognised as being one of the best golf GPS brands, you can’t go wrong with this one. 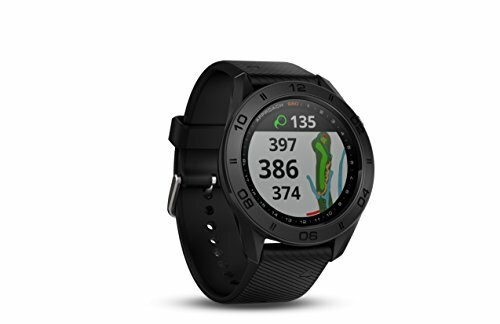 Another very positive feature is the Garmin Connect Online Golf Community, this allows you to compare your round and statistics against other players. 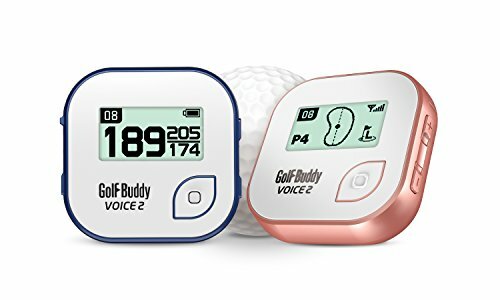 The Golfbuddy Voice 2 is unique in the way that it gives you audio feedback. 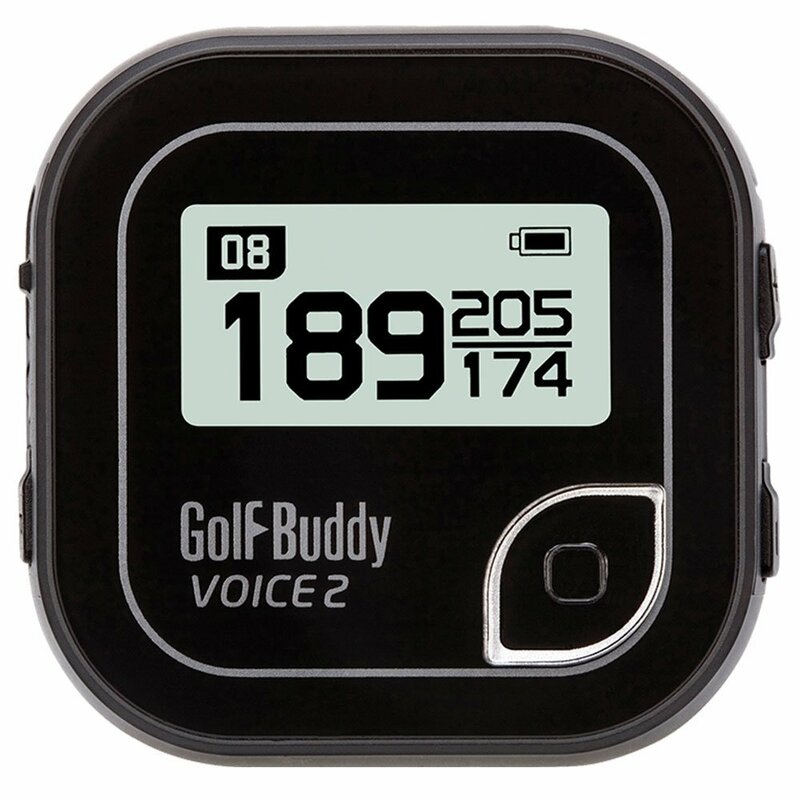 It will accurately tell you yardages and about any course hazards. 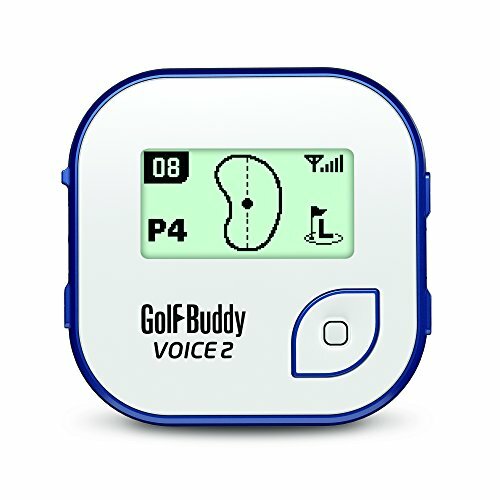 If you don’t want to have it on audio mode there is the option to silence it and use the Golfbuddy as an ordinary golf GPS device. Similar to many of the best models it comes pre-loaded with over 35,000 golf courses and there is space left for another 5000. As expected it features auto hole recognition and front/middle/back to the green yardage. One thing many buyers seem to like is the fact that it can be clipped to your belt/pocket or used as a golf watch (strap not included). 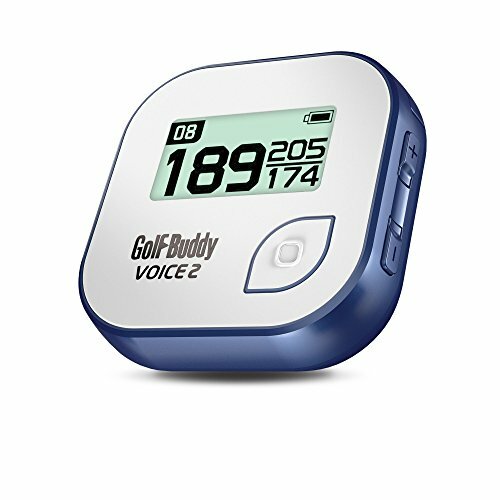 The Golfbuddy is a very popular golf GPS device and has many good features for the price. The only negative thing to say is that the battery life is short in comparison to other models. 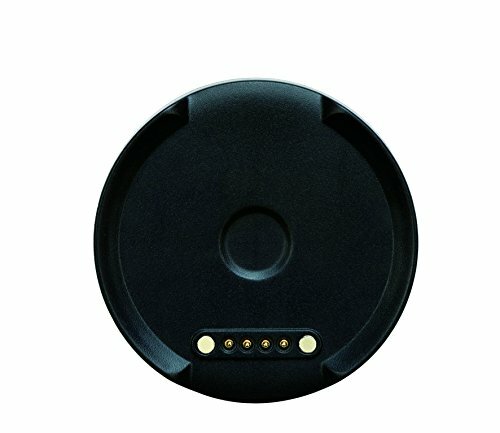 Cuustomer reviews say they struggle to get 36 holes out of a full charge. Consequently it wikll probably need charging after every use to ensure it doesn’t run out half way through a round of golf. Did you manage to find your next golf GPS? hopefully with the help of our reviews and ultimate best golf GPS 2018 buyers guide you did. If you didn’t then at least the next time you do purchase one you will know exactly what you are looking for. More reviews and buyers guides you may be interested in.